M*A*S*H is available for purchase on iTunes. You can buy individual episodes, entire seasons, or the complete series. 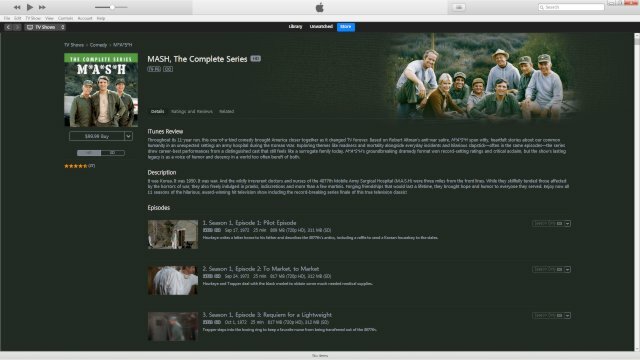 In order to buy episodes, you’ll need to download the free iTunes software. Individual episodes are $2.99 in HD or $1.99 in SD (even “Goodbye, Farwell and Amen”). The HD episodes are available in 720p and 1080p. An entire season costs $9.99 in either HD or SD. The complete series box set costs $99.99. Unfortunately, the five hour-long episodes (“Welcome to Korea,” “Bug Out,” “Fade Out, Fade In,” “Our Finest Hour,” and “That’s Show Biz”) are only available as two half-hour episodes. This is how they air in syndication, how they streamed on Netflix, and how they’re currently streaming on Hulu. The only way to watch these episodes the way they originally aired on CBS is on DVD. Yes, the episode is in 16:9 widescreen, just like the HD episodes streaming on Hulu. When I tried to watch the same episode in SD, iTunes showed me the HD preview again, so I’m not sure what the episodes look like in SD. Are they also widescreen, just lower quality? Or are the SD episodes in 4:3 full frame rather than 16:9 widescreen? There’s no reason not to offer fans the opportunity to purchase HD episodes in their original 4:3 aspect ratio. 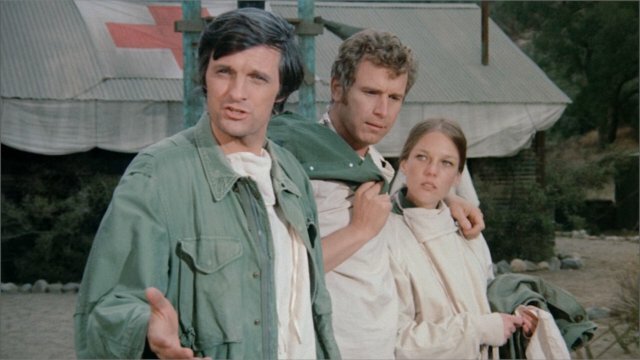 That way, purists like me who refuse to watch M*A*S*H in widescreen can also enjoy the show in high definition. Curious if anyone has bought even an episode and if it is 16×9 HD and what you think. Are they the network versions? The cut-down syndication versions? Yes it is 16:9 I just bought the complete series for my Huge Itunes Movie and TV show collection! So they’re just lopping off the tops and bottoms of the original images on those, right? How’s that a positive thing? I haven’t seen it, but that’s not how they would do it. Done properly, they would go back to the 35mm negative, which is a higher resolution than HD in terms of pixels. They would create a new digital master, and then they would crop to 16:9 and there would probably have to be some clean-up because the image would have not been protected for that kind of framing so there could be a microphone or other noticeable incursion into a 16:9 picture. But easy to clean up in 2018 digitally. I’d like to believe that they did it properly – which is possible – than do what you are suggesting which would degrade the resolution and what the viewer sees by a significant percentage. I’ve been watching through the 16×9 HD versions sporadically over the last few months. There are pros & cons to the aspect ratio process, and I find myself preferring original 4×3 vs 16×9 conversion differently for different shows. Sometimes it’s just an aesthetic thing about a specific show. I get why they do it, and that most people won’t care, and I get all the purist arguments. They are perfectly valid arguments (not how the auteurs intended the framing, losing some picture in favor of other, etc). 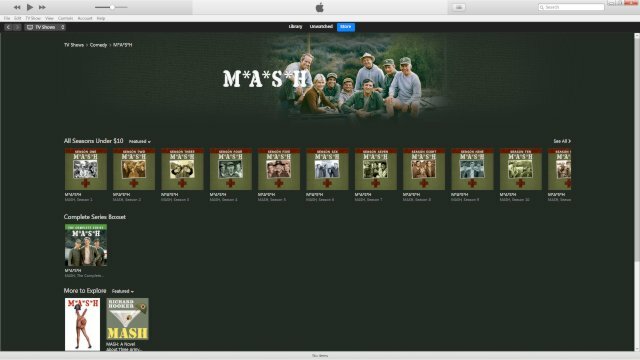 So far, I’ve found myself preferring the new 16×9 HD for MASH (a series I’ve watched more times than I’d probably care to count), as the trade-off of whatever picture loss is offset enough by the gains in other qualities. After all, the series is primarily a static-camera dialog-driven series. Doing it to a stylistic, visual show would surely yield more noticeable problems. Anyway, I did an edit putting an episode (Tuttle) in side-by-side sync for comparing the framing when these 16×9 HD versions first started to appear a few months ago. Here’s a link for those wishing to compare. For what it’s worth in this case, it seems to be a combination of both cropping vertically and opening the frame up horizontally from the source film elements. Personally, I think Universal deserved high praise for their Definitive Collection blu-ray release of the classic Battlestar Galactica. They included the entire set twice in the box, once in 4×3 and again in 16×9. That has to be one of the only times a studio has done that. The rare instance that can make both sides happy. Is the 16×9 HD version from iTunes? What format is the iTunes version in? Is it MP4? The widescreen copy looks good. It’s a good compromise. Yeah those are the compromises that have to be made in order to “modernize” a show that was originally going to be shown in a 4:3, 1:33/1 aspect ratio where 16:9 did not exist. Normally where the differences show up is in the close up shots. You might see more of the scene on the sides, but you see less head room and even cropping of hair and foreheads. Since nobody really watches a 4:3 tv anymore you have to figure out how to broadcast or stream a 4:3 show on widescreen tablets and tv. That means black bars on the sides. I would say more extended scenes without the quick edits, ie. 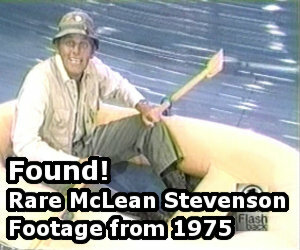 some camp scenes that were shot on the CBS soundstage would be interesting to see as a comparison. But one good thing MASH did was film on 35 mm. That really makes a difference in resolution no matter what the screen format is. I watched the pilot in 16:9 HD. It’s excellent. There’s nothing egregious. It fills the screen on my TV beautifully. And every image is crystal clear – you can see each individual medal on General Hammond’s chest in the party scene, for example.